The Barrel Vault is a curved rooflight. The height of which is 1/5th the span of the rooflight. They are generally supplied in double or triple glazed polycarbonate. However, if no thermal performance is required i.e. 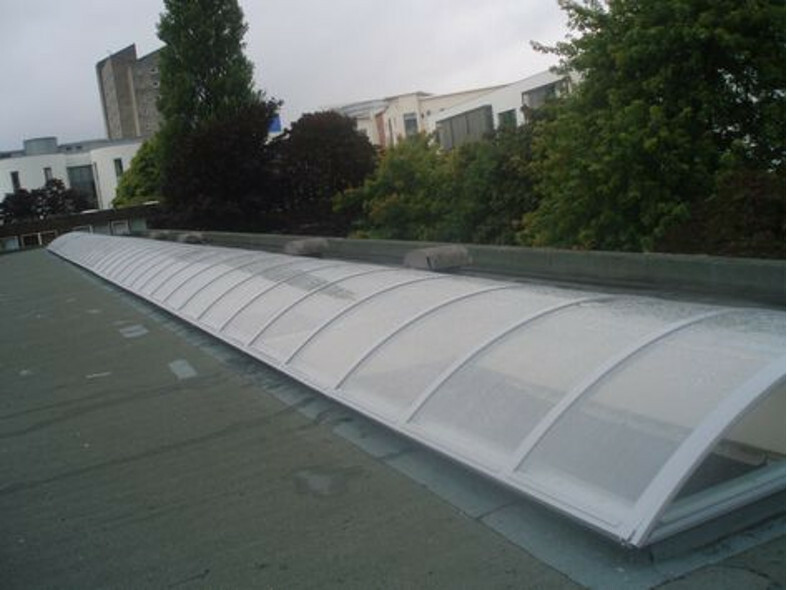 in a walkway, then single glazed polycarbonate can be supplied. 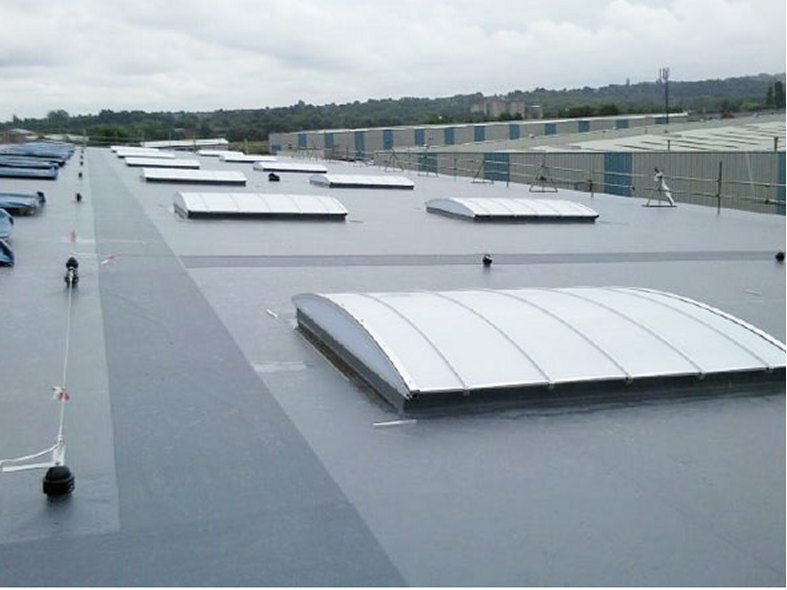 TYPE: Barrel vault rooflight low rise (rise in centre 1/5 of kerb width). FINISH: Polyester powder coated to BS 6496 Interpon D36 ra040nge. 25 Year life expectancy on powder coating. KERB: Structural kerb by others to take imposed loads. Minimum 100mm wide x 150mm high above finished roof level. GLAZING: 3mm UV coated polycarbonate inner skin, 3mm or 4mm UV coated polycarbonate outer. The glazing is Makrolon Mono Longlife UV resistant polycarbonate sheet. 10 Year warranty on breakage, excessive yellowing and loss of light transmission. Fire Rating: Makrolon 2099 when tested to BS 476 Part 3 is rated AA surface spread of flame to BS 476 Part 7 Class 1. Class O material to Building Regulation 1985. TP (a) rigid classification as described in approved Document B of Building Regulation 1991. FRAGILITY: They have been tested and are classed as NON FRAGILE Class B. To ACR(M)001:2005 Test for Fragility of Roofing Assemblies. SIZES: To suit your kerb size.